Apple is expected to unveil a large-screen iPad early next year, a rumor that reportedly has the competition clamoring to beat the Cupertino-based company to the punch. The latest scuttlebutt suggests Sony is working on a 12.9-inch tablet to go toe-to-toe with Apple’s rumored iPad Plus. Sony’s machine is said to carry a resolution of 3,840 x 2,400 pixels which is high enough to display 4K content. Hopefully its Qualcomm processor can effectively power the display. Elsewhere, the slate is rumored to include an 8-megapixel rear-facing camera and is being manufactured by Pegatron (an Apple supplier). Sources say the 12.9-inch tablet will measure 8.6mm thick. For comparison, the iPad Air 2 measures 6.1mm thick while its predecessor checked in at 7.5mm thick. It’s unclear if Apple’s rumored large-screen iPad will be thicker than the iPad Air 2 although it certainly seems plausible. 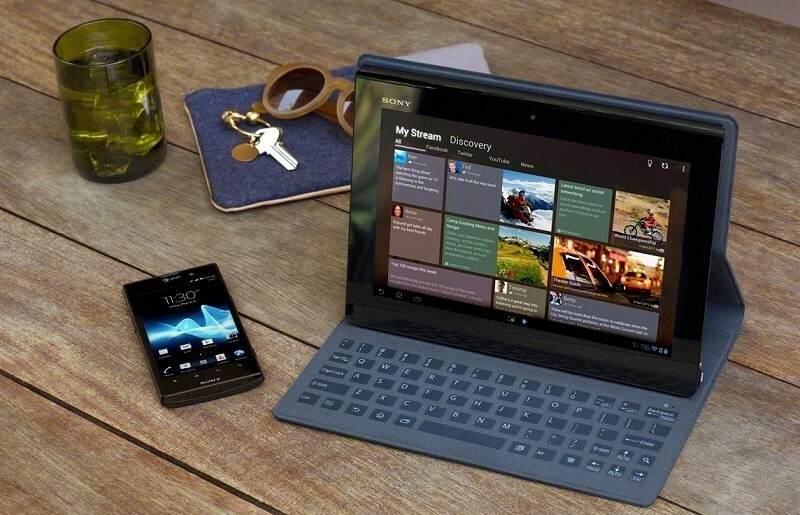 Sony’s slate will reportedly carry an entry-level price point of more than $1,000. At that rate, Sony is no doubt targeting high-end buyers. Again, for comparison, the cheapest iPad Air 2 will set you back just $399 although most expect the iPad Plus to also arrive at a premium. Microsoft has found moderate success with its Surface line of tablet computers, the latest of which also includes a larger-than-average 12-inch display. Given the slowing growth of the tablet market, one has to wonder if the “large” tablet will indeed be the next big thing.